Donald Trump is a clown; a buffoon; a fool. 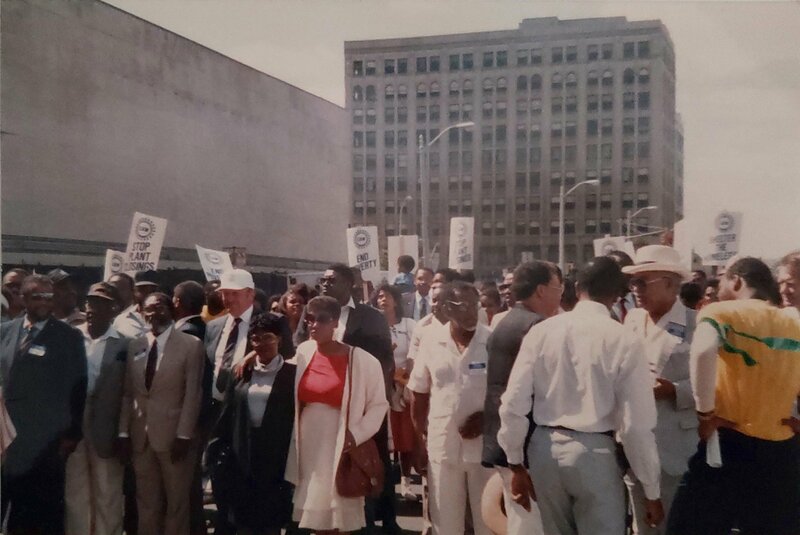 The 2016 election in general and the RNC in Cleveland in particular is a circus. 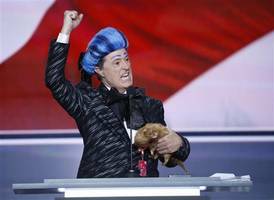 Just ask Comedy Central, which has trucked in its own Daily Show sideshow for the occasion, and whose alum, Steven Colbert, crashed (or “crashed”) the stage of the Q Sunday evening tricked out in his blue fright wig. But a circus is supposed to be fun, and clowns are supposed to be funny. And as a group of Cleveland clowns maintain, in this instance, none of this is the case. Stephen Colbert at the 2016 RNC. The conceptual kernel came to O’Malley in a dream (she swears) back in March – but it didn’t take root until she started batting ideas around with Cleveland Public Theater founder James Levin and puppeteer Daniel McNamara, a veteran of Vermont’s Bread and Puppet Theater. O’Malley herself is an actor and physical theater performer who’s studied with Avner the Eccentric and bouffon master George Lewis, and who currently works as the director of audience engagement and media relations at CPT. 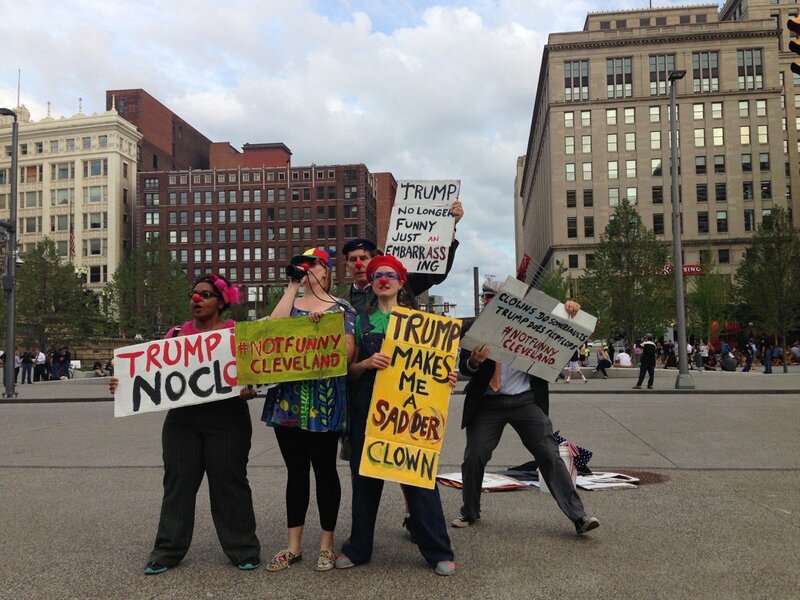 At 7:15 on Monday evening – more than an hour past a hoped-for launch time of 6 p.m., thanks to the snarl of traffic around the downtown Event Zone – six clowns sped down the sidewalk of Rockwell Avenue and plopped a bundle of props on the cement across from newly spiffy Public Square. “Clowns do somersaults! Trump does flip-flops!” read one placard. “Trump makes me a sadder clown,” said another. Jumping and skipping, they chanted and sang, drawing a small crowd of curious onlookers and the omnipresent media. And then the mood changed. Taking center stage – or sidewalk –in a fuzzy pink sweater, Dionne Atchison launched into the final skit. Titled “Ways you could be killed if you are black in America #23 ways,” it was, as another placard declaimed, seriously not funny. 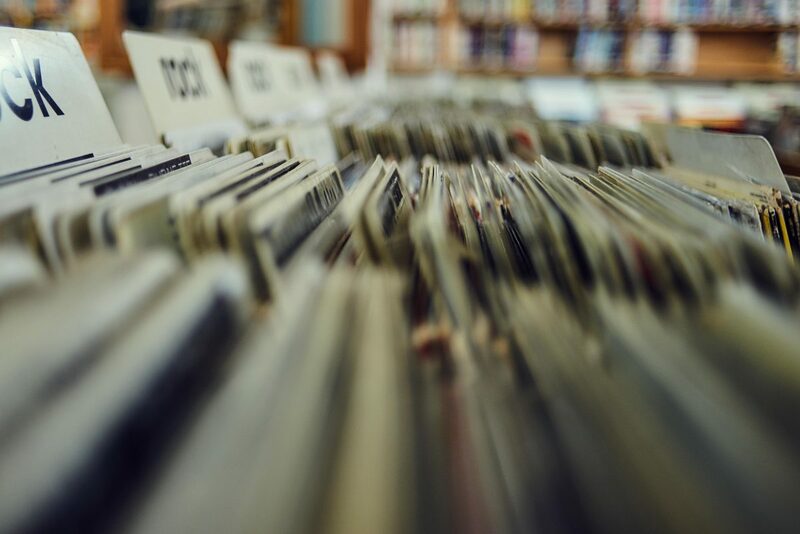 When they were done, they packed up their bundle of gear and, after a brief huddle, decided to head across the street and do it all again for the thinning crowd in Public Square. Inside the Q, Reince Preibus called to order the first night of speeches while Scott Baio, Rudy Giuliani, and Melania Trump waited in the wings. 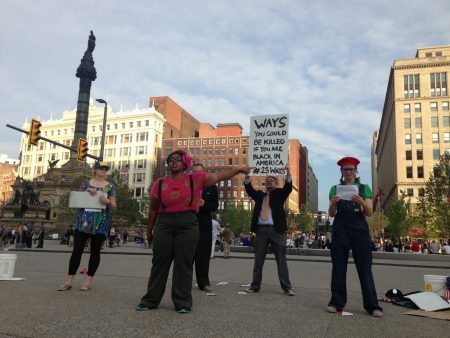 #NotFunnyCleveland plans to perform every night of the RNC around 5 pm in Public Square. Martha Bayne is editor-in-chief of Belt.